"When simple gardening doesn't cut it anymore, when you would like to turn that depressing rain into beautiful snow, or when your blasted bees refuses to work in the current climate: That's when the Arcane Terrestrial Reformer comes into use. By placing a focus on the top, it will be attuned to a certain aspect. This construct will consume essentia of the respective aspect as well as Terra vis. 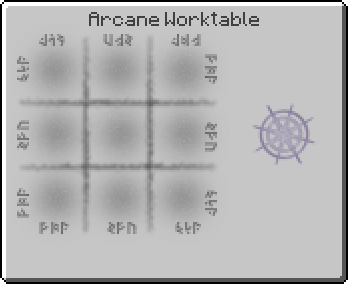 Per 4 essentia and 4 vis consumed, it will change the biome of a nearby coordinate within a 16 block radius. The most basic of the Terrestrial Foci represents the Plains biome. For it to work its magic, it will need to be supplied with Herba essentia." Terrestrial Focus: Plains has no known uses in crafting. This page was last modified on 19 July 2016, at 16:07.